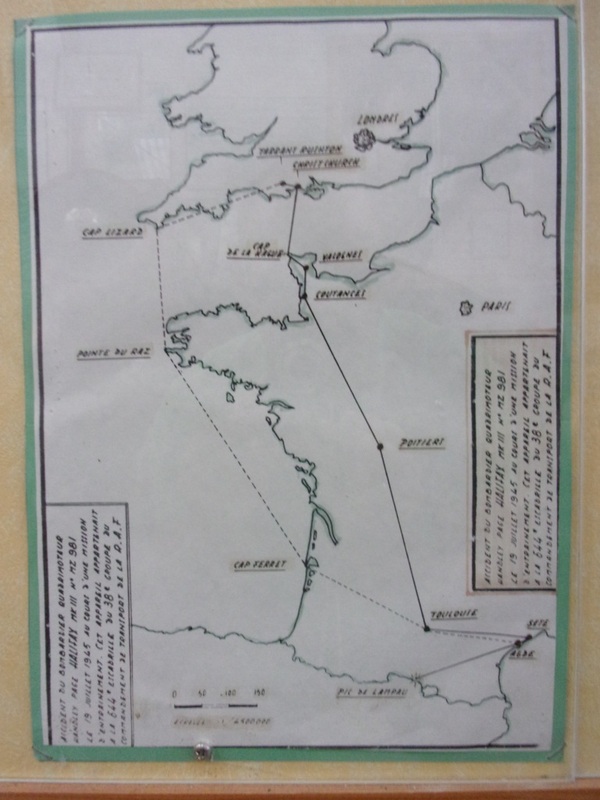 On July 19th of 1945, the British bomber Halifax Mk III Mz 981, from the 644th squadron of the Royal Air Force’s 38th transport command departed from Christchurch, in the South of England’s coast on a training mission that would take it all the way to the Cape d’Adge in the Mediterranean French coast. Route followed by Halifax III MZ 981. On the way back, the aircraft would return to England crossing the South of France till the Atlantic ocean by way of Toulouse. With the fall of the night the pilot took a wrong heading (1) towards the Pyrenees, crashing against the Pic Lampau (2,543m). About 50 years later, in the eighties, Léon Elissalde, an important figure of Luchon at the time, knowing about the crash of the Halifax III during WWII set out to look for lost parts of the aircraft. He found some of the engines, propellers, crankshafts, etc. He knew about other crashes in the Pyrenees during WWII as well. A British Halifax II which crashed against the Pic Douluy when coming on a mission all the way from Algeria (see a description of that mission here, in French) and two German Dornier 217 equipped with BMW engines which allegedly were on the look out for the area where maquis were hidden in the mountains. 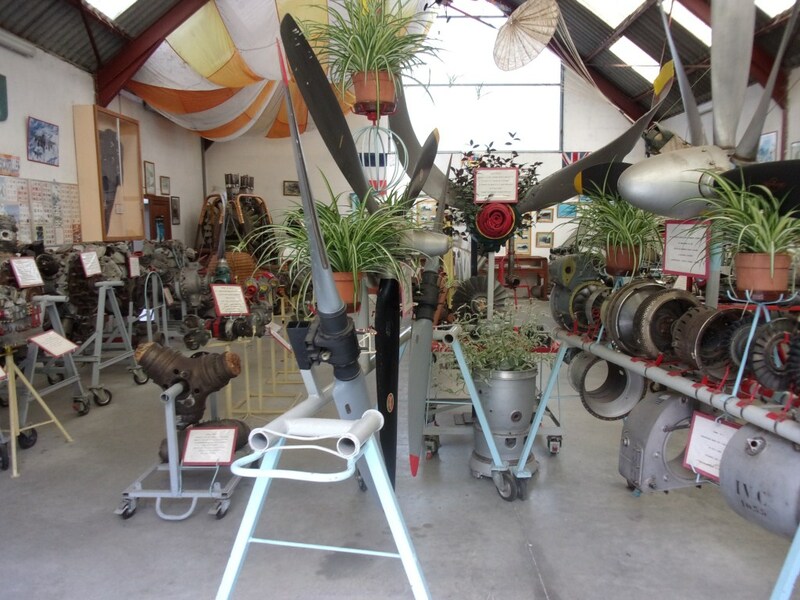 Elissalde, with all those parts created the Musée de l’Aéronautique of Luchon, located in a small hangar of village’s aerodrome. Musée de l’Aéronautique of Luchon. We visited the museum last weekend. We counted with the guidance of a retired technician of the Armée de l’Air (French Air Force), who described the details of each of the engines, aircraft in which they were mounted and the mission the flew when they crashed. The visit lasted about an hour. Breguet 941S preserved at Musée de l’Air et de l’Espace, image by PpPachy. The museum includes some other engines, such as the turbojet Hispano Suiza Nene, which equipped the French Mistral, or the turboshaft Turmo III D3, which equipped the aircraft Breguet 941. The 941 was a short take-off and landing (STOL) aircraft with blown wings designed in the 1950s and which flew for the 1st time in 1961. One curiosity of this aircraft is that using 4 turboshaft engines (designed to power helicopters, not planes), all 4 engines’ turbines did not directly turn the propellers but rather powered a common shaft that ran along the leading edge of the wing powering the 4 propellers. A Breguet 941 is displayed at the Musée de l’Air et de l’Espace at Le Bourget, Paris. Luchon is a nice village located at the heart of the Pyrenees, close to Super Bagneres skiing station, to some of the summits cycled in the Tour de France and has a great spa with water from natural sources. It is a great destination where to spend a few days. One hour of those days is well employed visiting the aviation museum. (1) My flight instructor uses to say “Dans l’air, le cap est la vie” (“in the air, the heading is the life”).